A $400 million Sri Lankan resort and casino complex planned by Australia’s Crown Resorts Ltd faces additional delays and is unlikely to be approved before the end of the year, a top government official said. The new delay comes after opposition politicians alleged Crown’s chief, gambling tycoon James Packer, was getting concessions not given to local entrepreneurs. Buddhist leaders also said the casino could be detrimental to the culture of Sri Lanka, a predominantly Buddhist country where gambling is not accepted morally, despite the on-again, off-again presence of casinos dating back to the 1990s. The government said in October that Packer’s plans would be resubmitted to parliament by Nov. 21 with altered terms to address the various objections, but the country’s investment and promotion minister, Lakshman Yapa Abeywardena, said on Tuesday the deal “might not” be approved by the end of the year. Crown has confirmed that it was in detailed discussions with the Sri Lankan government and potential joint venture partners regarding the development of a 5-star integrated resort. The resort-casino complex is planned for a two-acre plot in the heart of the Colombo commercial hub. It has already been delayed once after the government asked Lake Leisure Holdings, the joint venture between Crown Ltd and its local partner, Rank Entertainment Holdings Pvt Ltd, to change its construction plans. Officials with the local partner also downplayed the latest delay. “Possibly it will go through once the parliament starts in the first week of January, so one month does not make any difference,” Ravi Wijeratne, the owner of Rank Holdings, told Reuters. Packer’s earlier deal had already been approved by the government’s cabinet, but Abeywardena said the deal must be approved again by the cabinet after certain tax changes were made before being approved by parliament. 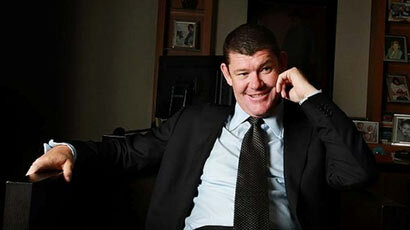 Packer, one of Australia’s richest men, has been in talks since February with the government about the integrated resort and investment options as he expands his global gambling business that includes casinos in Australia, Macau, Britain and the United States, Reuters reports.